A new warning in both iOS 12 and macOS 10.14 Mojave alerts you when you use a password with two or more sites or apps. The biggest risk when setting a password is when you re-use a password across sites and services. If you do this, you’re multiplying the risk of a breach at one of those services, allowing a cracker to try your account name and password from the breached service at other sites. If any match, they’ve now hijacked your account there, too. 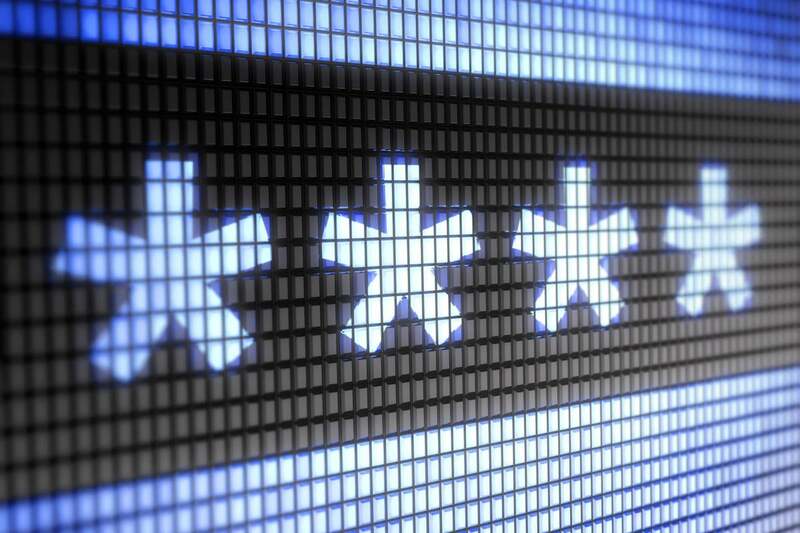 A unique password at every site is the goal. And Apple added an alert in iOS 12 and macOS 10.14 Mojave that will help you towards that. This warning tries to push you towards a slightly lower level of risk online. Don’t worry: I’ve changed all those passwords. In iOS 12, you find it in Settings > Passwords & Accounts > Website & App Passwords. In macOS Mojave, it’s located in Safari, in Preferences > Passwords. 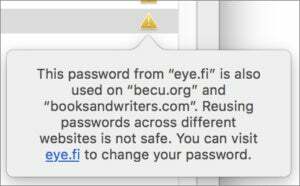 Any stored password that’s shared among multiple stored logins has a caution sign (black in iOS, the appropriate yellow in Mojave). Tap the entry in iOS or click the caution sign in Mojave’s Safari, and you get a more complete explanation. You can also tap or click the proffered link to change the password. Apple will take you either to the account management page on sites that use a URL Apple knows or to the homepage, from which you can navigate. Wherever the site lets you change the password, Safari will autofill the old password and suggest a new, strong one that it retains for you and, with iCloud Keychain enabled, sync that password among all your devices. In iOS, you can’t view all your reused passwords at once, but have to scroll to find them. Mojave, however, lets you sort by the caution sign in Safari’s preferences: click the empty space at the top of the caution column and it clusters all the reused passwords together, if you want to change them all at once.